Hi there fellow gear hounds, I’m back in action with a review compliments of Fringe Sport. 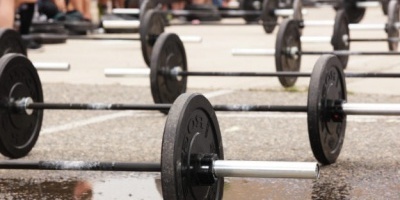 This time I got the opportunity to test out and use their 2″ 20kg “El Gordazo” Axle Bar (or to the crowd like me, their 2″ 44 lb rounded to 45 lb “El Gordazo” Axle Bar). First let me start out by saying that there are far and few axles out there that weigh in a true 45 lbs, or within that range (more, or exact, give, or take) like a true power bar, or olympic weightlifting bar, but this one fits the bill and fits it pretty nicely for the decent price range it’s categorized in. It’s a true traditional 7′ bar and has a true textured powdercoated feel to it along the whole bar with non-revolving, solid sleeves (this is actually an advantage for this type of bar due to the nature of the axles aiming towards being tougher to handle for strongman training). The 2″ thickness makes for a slightly opened palm grip which in turn builds up your strength and keeps you honest during your lift(s) to stay strict as it ignites your nervous system to keep and maintain your grip and hold onto the bar as you push, or pull with it…this also builds up and strengthens the forearms as well as relieving shoulder discomfort, or pain due to the diameter during push lifts such bench and overhead press. With knurling you get some bite to the bar for it to grip to your hands while lifting…however this is an axle bar we’re talking about which in essence is supposed to fight you back and cue you to grasp onto it for dear life in order to strengthen your grip, make you be able to crush things in the palms of your hands, and not to mention how when you go back to a regular 28-29mm bar how it will feel easier to power through and crush it on certain lifts that you were previously training with on the axle bar. On the subject of the finish and the sleeves being the same powdercoat finish, the axle will definitely get some wear from plates sliding on and off of it and some minor imperfections over time, but that’s what’s to be expected of lifting equipment as it goes through some use and abuse, so far since using the axle I loaded it up with some of the discontinued Ivanko economy version (O2B) plates and they held on nicely! I haven’t had to use collars on it yet, but imagine much like on my 2.5″ Fat Curl Bar, the compression collars will probably work with this bar and Fringe mentions that standard collars fit this bar. The sleeves are a bit over 15″ of loadable space, has a 1000 lb load limit and is a matte black finish just like the bar portion. This was the first movement I’ve done with the axle bar in my workout and it freakin’ rocks on it!!! I wanted at thicker bar to fit in the crooks of my elbows to perform Zercher squats somewhat comfortably and avoid the regular, smaller diameter bars digging into my forearms/elbow joints as I un-rack the bar and go through the movement, this axle bar did the trick…while it still takes some decent will power to keep that type of hold stable (especially on heavier Zerchers), the 2″ axle is night and day compared to a 28-29mm bar being held in that nature. You definitely gotta go lighter in weight on them as opposed to the back squat because they will totally kick you a new one and work your quads, core and upper back into maximum overdrive as you maintain to stay upright and while relieving some compression on your lower back due to them being an anterior squat movement similar to the front squat in that respect and unlike the back squat. I personally like incorporating both back squat and Zerchers into my routine these days and the 2″ axle bar definitely helps for Zerchers (picture lifting a log in the crooks of your forearms/elbows as you squat with as much depth as you can reach with it as you try to maintain as upright of a posture as possible you push through the legs/floor and stand up to locking out the quads. 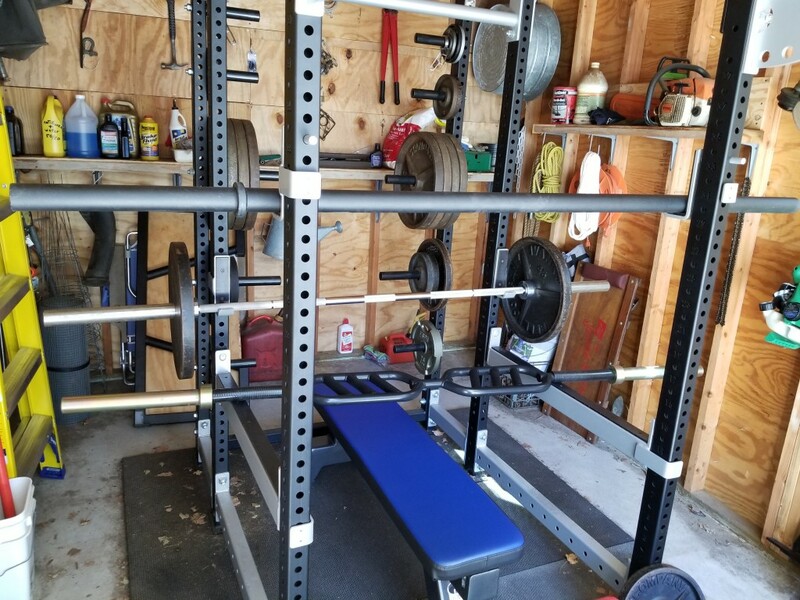 Another convenient benefit of Zerchers (in my personal opinion/height adjustment) is that I find that I can un-rack them to setup perfectly at my already set j-hooks in the bench area. 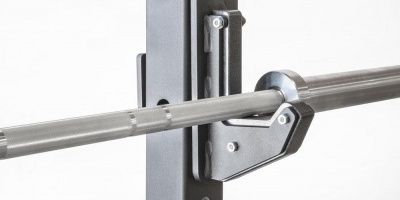 Also just to note, I recently bought a custom 2.5″ knurled rackable Fat Curl Bar (mentioned above) and find it excellent for a massive biceps/forearm pump and while it’s quite comfortable with the zigzag shape when I tested it on Zerchers, I’m more of a traditional 45 lb bar loaded with plates type of guy, so I much prefer and have opted using my 2″ axle bar for Zerchers and the 2.5″ Fat Curl Bar weighs a bit less so I use it for its intended fat curls and triceps movements. 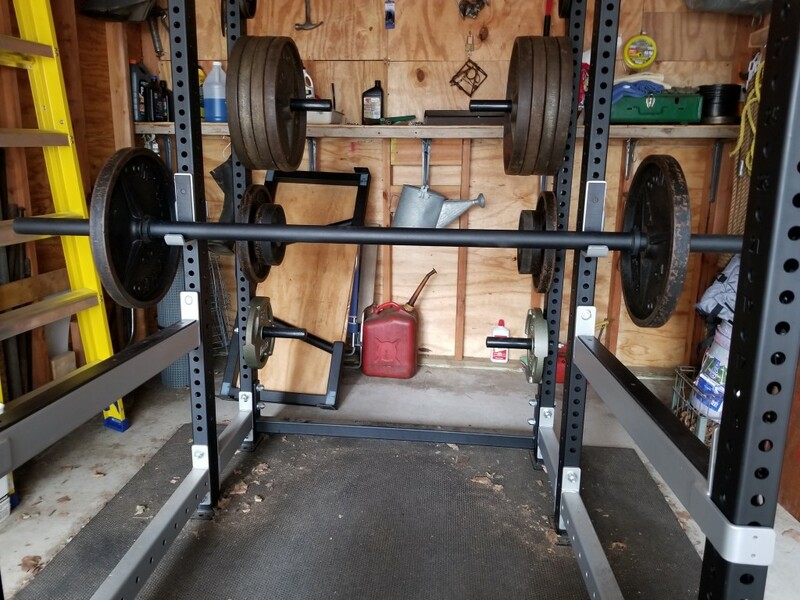 The axle just totally locks me in with complete focus when benching with it and I found that I could use my regular working weight with it, it also feels great on the shoulders and makes you force a powerful lockout from bottom to the top. 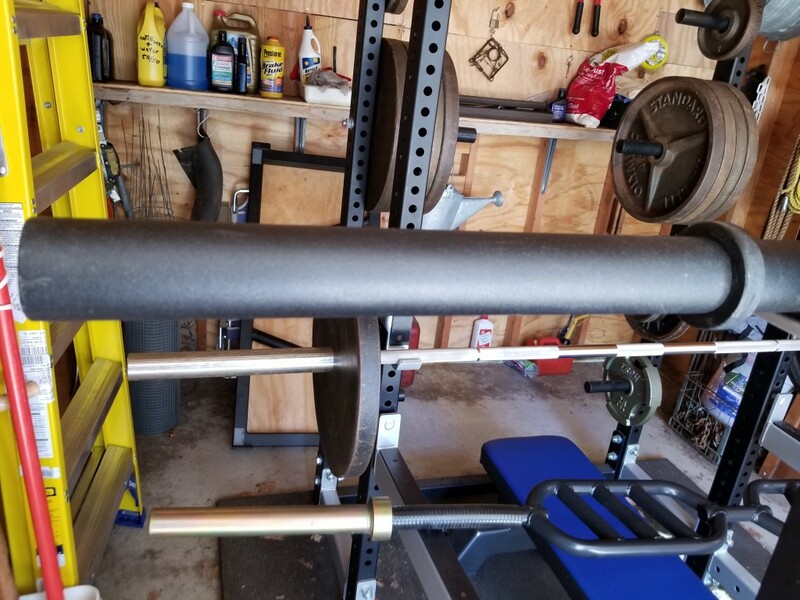 This is another movement that is my absolute favorite with the axle and I’ll keep benching with it for quite a while until I decide to switch back to a traditional 29mm power bar bench. OHPs are another movement where the axle keeps you strict and honest and makes you wanna punish it for all the sins it tries to plant on you as you forcefully press it overhead!!! 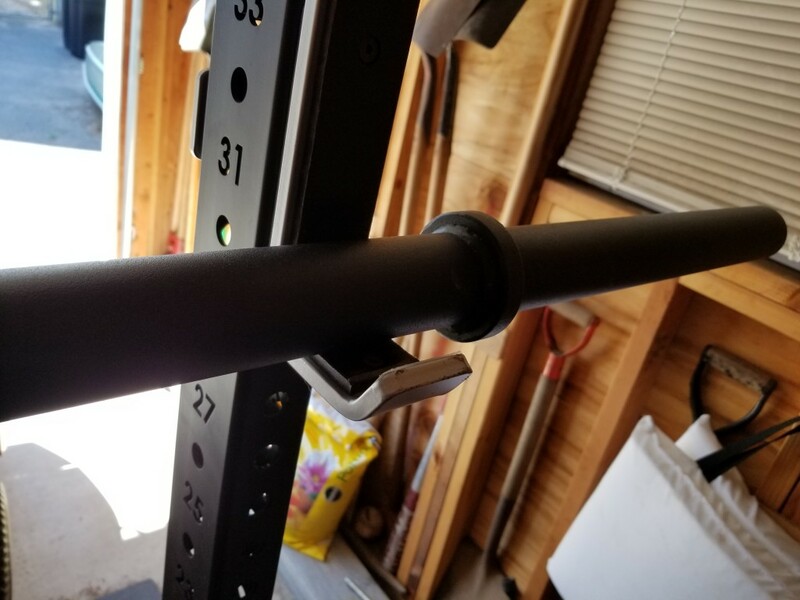 OHPs are another personal favorite of mine with the axle and I find a slightly wider grip helps, it also feels comfortable in the un-racking position on my front delt shelf due to the diameter. I usually do a cue such as picturing myself opening a window and looking out of it at the top of the movement towards lockout, then putting my face back inside and closing the window at the bottom portion of the lift (hahaha seems to work for OHPs). 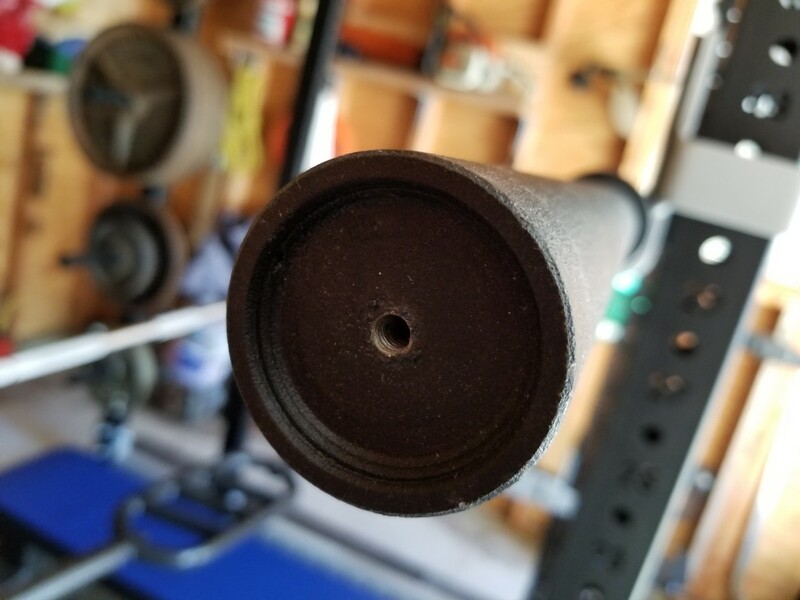 Another very minor incentive to add in favor of a smooth axle is that when doing OHPs with it you won’t accidently scrape your nose on it with lack of knurling unlike on a center knurled bar (a common tendency that does occassionally happen to some lifters when the bar gets to close on OHP on a grueling set). This is where the axle really tests your grip strength since the bar is in your fingers due to the nature of pulling it, with no knurl it’s even tougher…I found that I could only get a few minimal decent reps on rows with it due to fighting to keep a good grasp on it, I’ll probably go lighter next time and practice getting stronger on the axle for pulling movements. I haven’t tried the axle yet for deadlifts, but anticipate a slightly similar outcome as rows especially since deadlifts are typically the heaviest out of the lifts, but I’ll eventually test the deadlift with it too. I imagine these being interesting on squats, maybe as if squatting with a log on your back. I’ll definitely update the movements I haven’t done yet in the comments section soon when I take them for a spin! All in all I really dig the axle. Fringe Sport shipped it out fast and mine came in top shape, but I have one issue to address and that’s that when my axle arrived in the cardboard tube, the ends are taped up with no plastic end caps to secure and protect the bar should any contact/damage happen, or the axle could’ve potentially broke loose out of the packaging. I hope Fringe listens to this feedback to prevent any problems with their products arriving to their customers. A shout out and thanks to Fringe for sending me the “El Gordazo” in all its glory to review and I look forward to another review of a product soon! Tony has been dedicated to the iron since 2005 and is an enthusiast of the old-school lifting mentality as well as the health benefits of proper nutrition. He works at a University and in his free time is a self proclaimed workout gear hound hence a reviewer to all sorts of workout equipment, is an avid fisherman, listens to rock music and is a sales rep for repsdirect.net. E-mail him at TF87158@comcast.net for more info on workout pieces and Reps Direct products.